We are a team of people who have changed our attitude to make a difference. Brenham GameChangers is a movement across our great city to make a difference in people’s lives. A difference for just a moment in time or a difference that reshapes the way they live for a lifetime. Our statement is, we are a team of people who have changed our attitudes to make a difference. We all have people in our lives who have done things, big or small, which have impacted us to go on to achieve great things or change the way we are feeling for a moment. Think of who your GameChanger is, decide if you are interested in helping with this movement and becoming an “Agent for Change”!!! 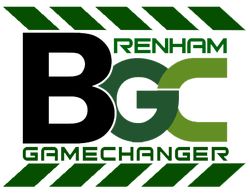 The Brenham GameChangers Website will allow you to see where needs are in our community and who you can help first. It also will connect you with other businesses and opportunities to volunteer and begin the selfless act of giving to others and thinking of them first. Do unto others as you would have done unto you!!! Be a part of something BIG. Be a part of something life changing for someone. You were made to do this and we look forward to having you be a part of our team! 1. “A Team of People” - An individual or a group, of any age, any race and any financial background. 2. “Changed their attitude” – Stepped outside of their “comfort zone” and said or done something to make someone’s day, view of themselves or their entire life better. 3. “To make a difference” - A simple compliment or act or grand word or act of encouragement to change a person’s day or course in life.